Hybrid Camera Revolution: For a limited time, #1 Bestselling Pro Camcorder, Blackmagic Pocket Cinema Camera is just $495! 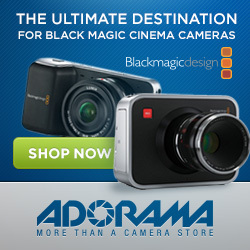 For a limited time, #1 Bestselling Pro Camcorder, Blackmagic Pocket Cinema Camera is just $495! Today, Blackmagic Design announced a $500 off summer sale on the groundbreaking 12-bit RAW Blackmagic Pocket Cinema Camera. Until August 31st, 2014, the BMPCC is $495 at Amazon, Adorama, eBay, B&H and other authorized retailers. Since its introduction, the Blackmagic Pocket Cinema Camera has been used in thousands of independent films, television commercials, music videos and anywhere cinematographers need a high quality digital film camera in a stealthy super small size. 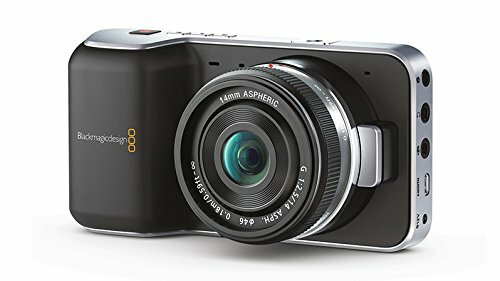 The Blackmagic Pocket Cinema Camera includes powerful features such as Super 16mm sized 1080HD sensor, super wide 13 stops of dynamic range, built in SD card recorder for Apple ProRes, lossless CinemaDNG RAW capture and active Micro Four Thirds lens mount, all in an attractive compact design. This compact design allows the Blackmagic Pocket Cinema Camera to be used in more situations where a larger camera would not be practical. It’s so small that it can be used in situations in the field where a larger camera could be dangerous. The camera’s film look even allows personal video to be shot with the style and creativity of a motion picture film. Unlike regular video cameras Blackmagic Pocket Cinema Camera is a true digital cinema camera as it includes a super wide dynamic range image sensor with 13 stops of latitude, allowing feature film quality images. A common mistake in the television industry is the assumption that more resolution means higher quality. Most cameras produce"video" looking images that suffer from highlight and black clipping that limits details. Blackmagic Pocket Cinema Camera's wide dynamic range eliminates this problem and provides film quality with dramatically more detail retained in black and whites in the image. Once the shoot is complete, DaVinci Resolve Lite 11 color correction and online editing software can be used to adjust images and take advantage of this extra range in the images. To eliminate the damage that low bit depth and high compression video storage creates, the Blackmagic Pocket Cinema Camera includes a easy to use SD card recorder that allows the full sensor dynamic range to be recorded in professional ProRes 422 (HQ) format, as well as 12 bit Log RAW lossless compressed CinemaDNG format. These files can be read by high end video software as they are all open standard. Now, at the $1700 price point, we have the GH4 competing with cameras such as the ~$3000+ 5D Mark III and ~$11,999 1 D C - while, at the low end, DSLR video shooters can buy a straight-out-of-the-box RAW camera for the price of a T3i. This is bad news for the old-line DSLR manufacturers. It seems to me that Canon and Nikon either have to step up to the plate and offer more high end features for the money - or, cede the video market to the newcomers and watch sales of mirror-box DSLRs slip even further. If I owned stock in these companies, I would sell it. If you've been eyeing the BMPCC, but didn't have quite enough money to buy one - now may be the time to pull the trigger. Please click on one of the links, pictures or display ads from our sponsors on this page to order. It won't cost you anything extra, but it will help to keep these blog posts coming. Thanks so much for supporting the Hybrid Camera Revolution!